Most of the programs HR watches over have very large budgets. Labor costs are frequently 70% or more of revenue. Benefits for may represent 30% or more of labor costs. On an absolute basis these costs increase over time as the employee base grows. Things get sideways when business plan projections get off track and the cost of labor grows faster than revenue or when revenue retracts. It is not easy to pull back on labor costs quickly. Some commitments you can’t back out. Others you can pull back, however not without doing serious damage to employees sense of trust, confidence and morale. For this reason it critical for CHROs to be able to identify—quickly, early, and accurately— whether a project or activity is worth pursuing, rejecting, continuing or dropping so it may protect its commitments and preserve resources for those programs that drive the most value. Relative to the budgets of other business functions, the resources it Human Resources receives to carry on its operations may be the most constrained. Besides the obvious constraint of budget, the other constraint is credibility. In order to influence, HR professionals need to hold on to and build on what little credibility they start with. As CHRO you will have to justify HR’s right to have a seat at the business table by demonstrating the business impact of your programs to a CEO, management team or business line head to whom you support. At some stage, you will all be called on to demonstrate progress. Finally, we are all constrained by time. Every minute spent on an activity that is doomed to fail is wasted. As a salaried employee in a large organization you may in one sense be able to temporarily escape accountability for the financial impact of their decisions, however will never be able to escape time. How do you want to spend the best years of your productive time on this earth? What do you want your contribution to humanity to be? HR has historically relied on two categorical measures of progress: how much stuff they are doing and how much people like what they are doing. Yet unfortunately, both of these metrics are unreliable proxies of business impact and both of these lead us down the wrong path—building something that ultimately does not matter, has no impact on the business or worse, the wrong impact. Traditional accounting metrics, like revenue, expense, profit, and return on investment (ROI), aren’t helpful for HR because they all track numbers either don’t exist for HR, that will lead to a “race to the bottom” or that are impossible to calculate given complex dependencies. Many HR decisions impact these things over much longer development and impact so measuring the progress of HR inputs on these measures does not provide feedback in enough time to correct the problem. If you make a big people related mistake, or miss a big people related opportunity that your competitors get right, and you get it wrong, you may not make it out of this one. Most the HR functions I worked in over my career (some of the best companies on this planet) wanted to collect and analyze as much data as humanly possible. But in a world where we can measure almost anything, it’s easy to find ourselves drown in a sea of non-actionable data. The major problem addressed by this book will be how to keep from drowning—and how to navigate the infinite abyss of possibilities and interesting, although fruitless analysis. Take a typical HR Executive—let’s call her Donna. She begins as SVP of HR for Fortune 500 company. She was brought in to turn this HR from the past to the future, and the first few years are the “honeymoon period” when anything seems possible. Donna is part of a new breed of HR professional. Donna believes it would make the HR team more effective to implement modern Talent Management, including a new performance management system. The first problem is that in order to get funding for her vision Donna has to go to the Management team and ask for funding. Donna cycles over the next several weeks preparing a thirty-page slide deck. She knows that the trick to getting her plan funding is making a strong business case for it. Donna is actually pretty good at painting a vision. This is typically a comparison of where the organization stands versus “best practice” (assembled from white papers) complete with references of what the other companies we respect in our industry are doing. In the meeting, most people are in agreement, except the CFO looks at her like she has two heads. He reminds her that the most important goal is to keep margins down. His point is underlined when it becomes clear that the rest of the management team are presenting their budget asks too. Let the fun begin. Where is Donna’s budget going to come from? Is HR going to take budget from the head of Sales or from Product Development? How about any other business function? How we compare this HR investment to other investments? After all, what is the ROI on this stuff? Riding on the advantage of being recently brought in from a highly successful organization Donna carries enough credibility at this stage to get what she needs to get started. Donna gets the systems she wanted and agreement to go forward and she spends the next two years of her credibility executing this plan. Donna measures progress by ensuring that her team is implementing their projects on schedule and within budget. Fast-forward two years. Donna’s team has been very busy and managed to launch all their projects. During this time the economy had been steadily improving from a previous downturn and turnover has been increasing. At management team whenever a highly visible employees leaves fights break out as to whether or not is a problem, what is the problem and who is responsible? Under pressure to demonstrate something to her stakeholders, Donna resorts to providing dashboards with basic headcount change and turnover measures – of whatever can be constructed from the available data. Because the HR system really only has capability to export lists of people - members of Donna’s team need to spend a week assembling turnover reports in Excel. These reports show overall turnover, turnover by division, and location. Given that even these basic things were previously unavailable to the management team, the initial feedback is positive. 5 members of Donna’s team create these reports, 1 for each division, spending 1 week them per month. As a few months pass by it clear that nobody is really using these reports. Still, these are the only data that HR provides out to the business and Donna and the Management team had agreed that Turnover would be the Key Performance Indicator for HR so they keep producing them. At management team whenever this topic of key talent leaving comes up fights break out as to whether or not is a problem, what is the problem and who is responsible? Donna tries to pitch a solution to turn this turnover problem around. All she needs is more HR programs and more money. CFO won’t budge. At this stage there is even less money to go around than before and most of the shine of Donna’s newness has worn off. After going through painful changes to the companywide Performance Management process everyone is leery of yet another program from HR. While most HR professionals would agree the Performance Management Process Donna implemented is a “Best Practice” approach, most managers and employees do not like the process because it takes up time, it’s awkward, the feedback isn’t received in a timely enough manner to make changes, they often don’t agree with the feedback, feel the process is rigged. Besides that, by design most employees receive a mediocre performance rating and without a precise description of how to get an excellent rating they don’t find this process particularly useful or motivating. You know how this story ends, right? Over time, Donna is either asked to leave or she leaves herself. Take another HR Executive—let’s call him Bob. Bob also is SVP of HR for Fortune 500 company. Bob was brought in to turn this HR from the past to the future. Bob is also is a new breed of HR professional. Bob believes it would make the HR team more effective to first move out of legacy HR systems to modern HR systems and implement a data warehouse as a “single source of truth” and finally a visualization solution for others to see clearly what stories the data can tell the organization. It’s not easy, Bob’s price tag is even higher, however like Donna, Bob initially has enough credibility to scramble together funding for the systems he wants. Bob spends his first two years executing this plan to put in place a technology architecture for HR. Like Donna, Bob initially measures HR progress with schedule and within budget – not because Bob thinks that is great, but mainly because Bob doesn’t think there is anything else he can really do until the systems get up and running. As the team gets into the system implementation, to keep things on track and keep costs down, Bob decides to abandon the history of data in the previous HR system. It is just too cumbersome and costly to get the data out of the old system and into the format of the new system. It also is not clear what value if any this old data has to anybody. None of the executives want to see that old data – feeling that data is probably ancient history and may be full of holes. Some members of the team disagree but it seems a small sacrifice to make to stay on time and budget so Bob makes the call and moves on down the road. Fast-forward two years. Bob’s team has been very busy and managed to launch all those systems. During this time the economy had been steadily improving from a previous downturn and turnover has been increasing. Bob can provide many more advanced metrics and segmentation than Donna could. Bob's group can report by smaller segment sizes, using multiple segments filters at once, the report users can drill down into detail and Bob’s solution has much nicer visualization. However, Bob's team also struggles with what to put on the Executive Dashboards. Bob’s team went from nothing to drowning in hundreds of metrics and segments. After some interactions with client organizations by Bob’s HRBP team they land on some cuts people want : mostly they want to see data by Division and Location. Like Donna, despite the simplicity of the reports the initial feedback from Management Team is positive. Unlike Donna, once setup Bob’s team does not need to spend much of any time to get these dashboards out. Actually, no time. That’s good. However, as months pass, a member of Bob’s team decides to go into the backend and look at log reports. Bob finds out nobody is using these reports - Bob can’t believe it. Bob’s story is different than Donna’s story, but ends in a similar way. What went wrong? The average tenure of HR executives is about 5 years and HR systems this or less, If a new HR executive brings with them a series of new ideas, practices and systems, and big ideas take at least 2 years to pitch and fully implement and 2 more years to collect data, then assuming we even collected the right data, it means that by the time we can use this data to understand if we are on the right track everyone is ready to move on. Something is wrong here. This is never going to work. The aim of this author is to suggest metrics that when combined into a systems view of how an organization operates define a working HR model. Armed with this model, you can justify the investment of your time, iterate to ideas that work, and communicate progress with your internal and external stakeholders— without drowning in a sea of numbers. CHRO Guide To People Analytics - Issue 2 - Intro - What is it you say you do? 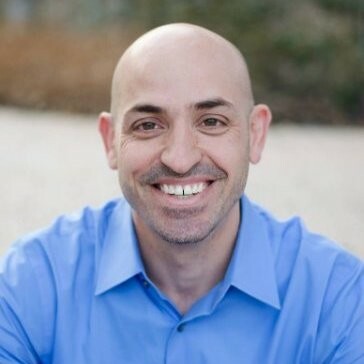 Mike has 15 years of experience building People Analytics from the ground up as an employee at the founding of Merck HR Decision Support, PetSmart Talent Analytics, Google People Analytics, Children's Medical (Dallas) HR Analytics, andPeopleAnalyst - the first People Analytics design firm - working with Jawbone, Otsuka and several People Analytics technology startups. Mike is currently the VP of Product Strategy for One Model -the first cloud data warehouse platform designed for People Analytics.